We love sales but not sales tax! 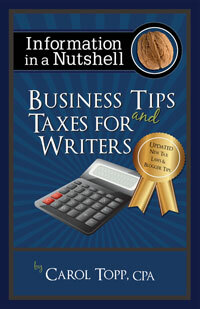 My article titled “We Love Sales But Not Sales Tax”is included in the 2014 edition of Writers Digest Guide to Self Publishing. I think you’ll find it helpful. The Guide to Self Publishing is full of other helpful articles (including another one by me titled, “Should My Writing Business be an LLC?”) and lists of resources for self-published authors. Maybe you should add this book to your Christmas list! Which state do I use for sales tax?